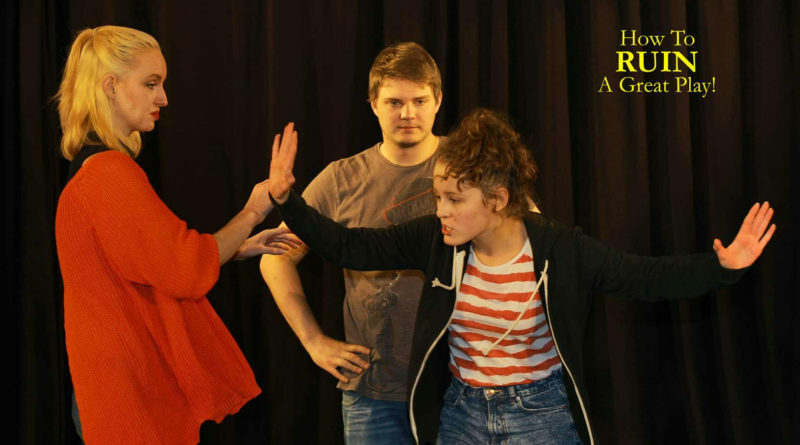 2018 promises to be another great year for Krakow’s English speaking theatre company Krakow King’s Players (KKP). Since Don Allen founded KKP in 2015, he has constantly set new goals for the company’s repertoire, acting cast, and audience reach within and outside of Krakow. In 2017, KKP held more than 40 performances of their existing repertoire of six plays and added an ambitious new adaptation of Charles Dickens’ classic A Christmas Carol, involving a cast of over 30 actors and with a simultaneous Polish translation of the English text. A special matinee for students and four evening performances were held from 18 to 21st December at the KDM theatre in Kazimierz, a new and larger venue seating up to 170, which made it possible for a total of over 800 theatergoers to attend. 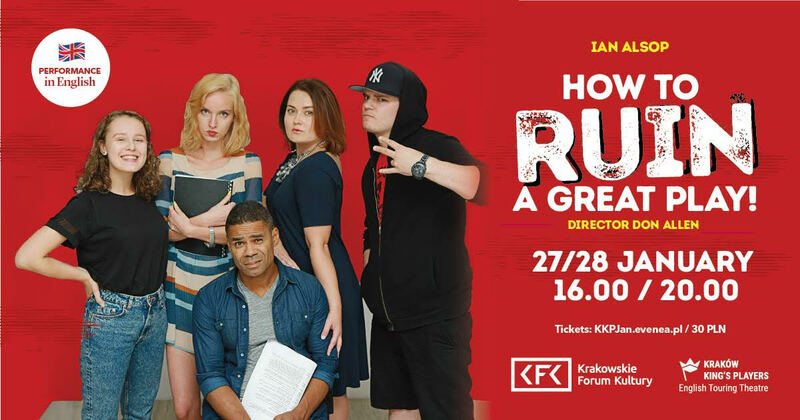 After a well-earned Christmas break, the KKP troupe is gearing up for a busy schedule and new challenges in 2018, starting with performances of the comedy How to Ruin a Great Play at the end of January. Take a great play, add a famous director with a bunch of amateur actors, and just watch the fun as it all goes horribly wrong! How to Ruin a Great Play is a perfect show for those who love a traditional British comedy. [Read The Krakow Post‘s review of last year’s staging.] In addition, after each performance there is a Q&A with the cast followed by drinks and socialising. KKP’s further plans for 2018 include performances of their original play Tram 23:11 in March and of their adaptation of Shakespeare’s Much Ado about Nothing at the KDM venue later in the year. A modern-day adaptation of Shakespeare’s Romeo and Juliet is also planned. To add to their existing cast, auditions will be held on Sunday 4th February. Interested actors should email acting@krakowkingsplayers.com. In addition to the theatre projects, KKP will continue to run their theatre workshops and acting-based language classes language workshops for schools and businesses. For further information on KKP’s repertoire, theatre workshops, and other programs, you can visit their website and follow them on Facebook. The author is a member of KKP.